Driving Lessons are available throughout the School Term One 2019. Just ring 0423 496 300 to book a lesson. 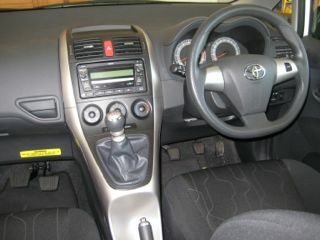 Have you checked the status of your vehicle's fitted airbags...? The Geared4Success Driving School vehicles airbags have been checked and they passed the test. Geared4Success Driving School continues to meet the challenge of helping to develop learner driver skills and attitude to produce safe P-Plate drivers. We are now working with High Schools in the local area along with facilitating and coaching in the PCYC Safer Drivers Course. Routine driving lessons are on offer, along with keys2drive free lessons and guest presentations at the Traffic Offenders Intervention Program. Also we are accredited to assess older drivers. This involves working closely with the Service NSW to deliver coaching and assessment for older drivers. These lessons assist in producing safe P-Plate drivers. They are 100% obligation free. 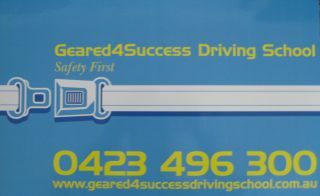 They are funded by the Australian Government and are available locally through Geared4Success Driving School. Please note that this program involves a supervising driver also which provides on-going benefits to the learner driver. "Ian ran the session very well. It was good to understand that most accidents for young people happen in the first 1-2 months on their P's. It was really beneficial to sit in the back seat of the car and watch how Ian runs a driver training session. I was also able to clarify a few road rules and we discussed a number of scenarios where it was good to consider more than one correct way to approach driving." University of New South Wales study shows that keys2drive participants are 40% less likely to be involved in a moderate to serious injury crash and 28% less likely to be involved in any type of crash during their first six months of solo driving. *NEWSFLASH: A Safer Drivers Course (SDC) will be conducted at the PCYC in Young NSW on SATURDAY 4 MAY 2019 starting @ 9:00 AM. To book a place in one of the courses, please ring the Young PCYC on 02 6382 5392 and ask one of the friendly PCYC Staff for more information on participating in the course. The next Safer Drivers Course is on Saturday 1 June 2019. How does knocking 40 hours* off your compulsory 120 logbook hour’s sound? Good? Well with the introduction of the Safer Drivers Course for learner drivers it’s possible. *That's 20 hours Safer Drivers Course + 20 hours from Driver Training lessons. How did the Road Rules changes affect me?